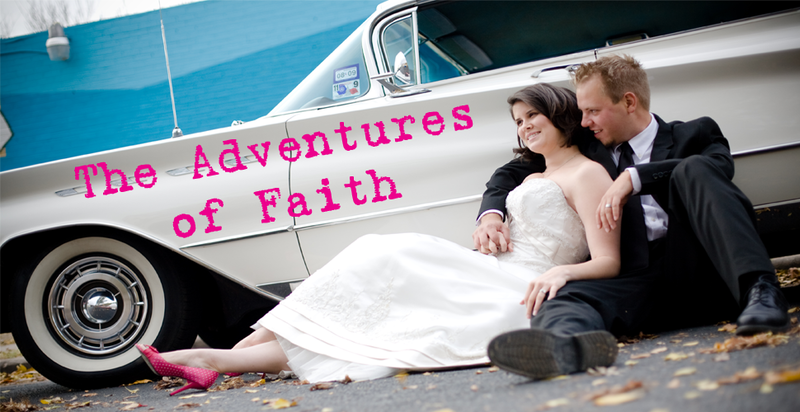 The Adventures of Faith: Things are a growing! These pictures are already over a week old and I can tell you there are some major changes that have already happened. I planted the new nasturtium a week ago and it's already sprouting. 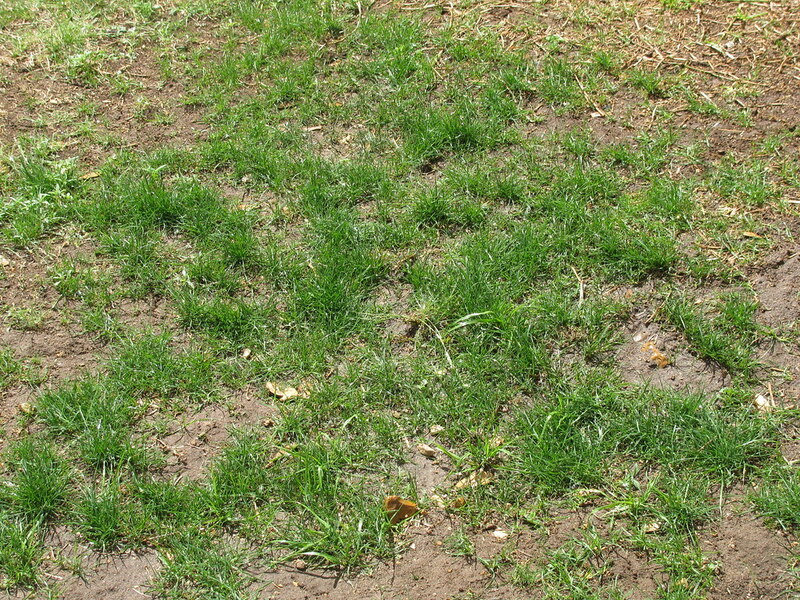 It's amazing what a bit of warm weather can do to help seed germination. 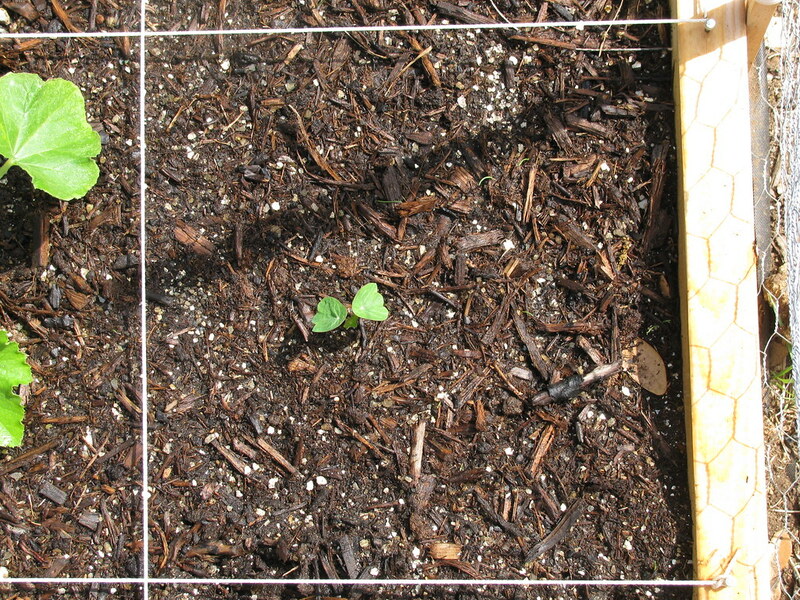 I put out new seeds for the cucumber plant that still hasn't sprouted (empty square). Hopefully these will take. 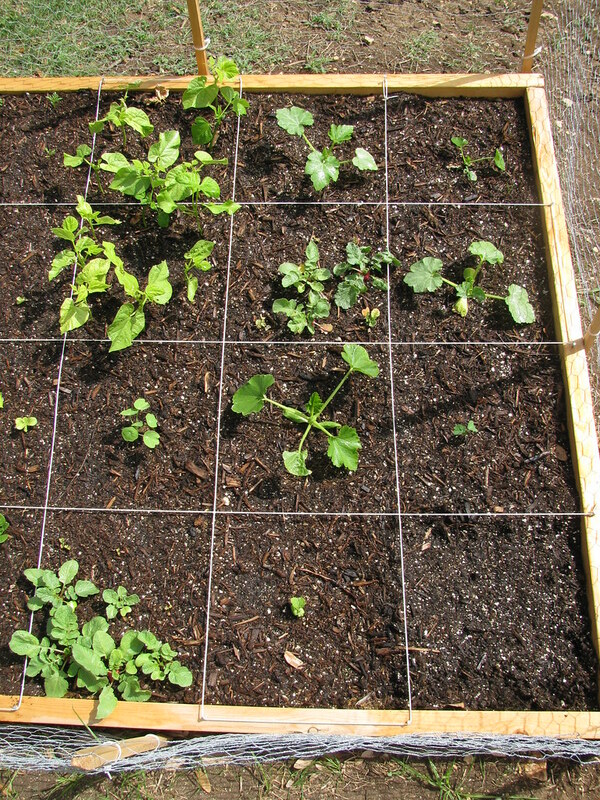 This end is the busiest end with the squash and zucchini, green beans and radishes. 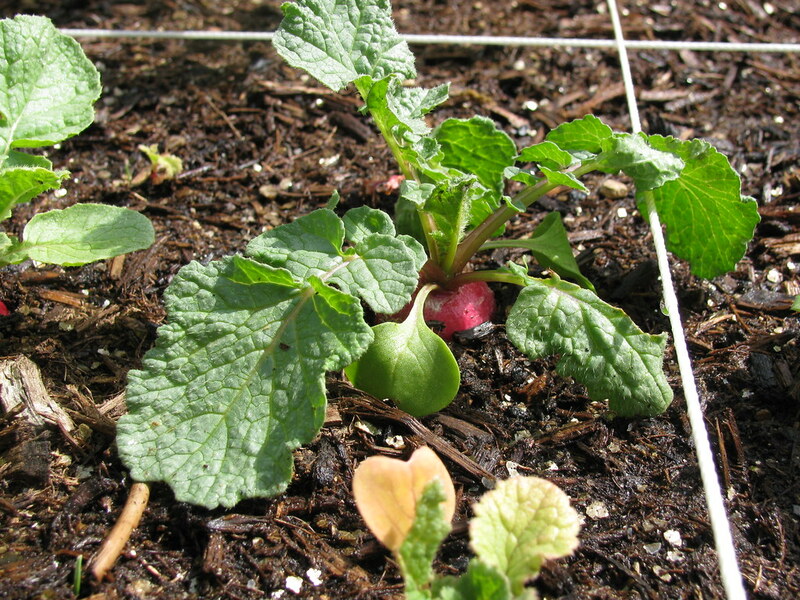 I have some radishes that are probably ready to be picked. They're already poking out from the ground. 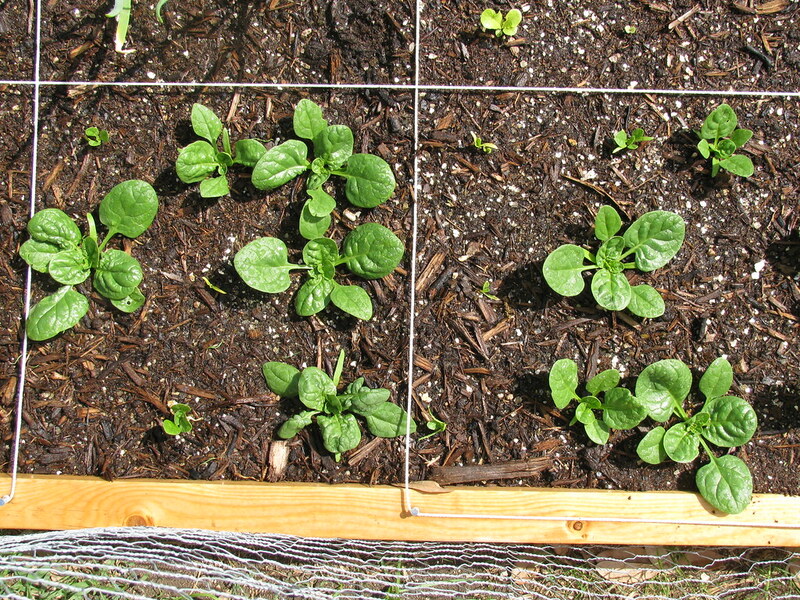 These are my spinach plants that are doing really well. 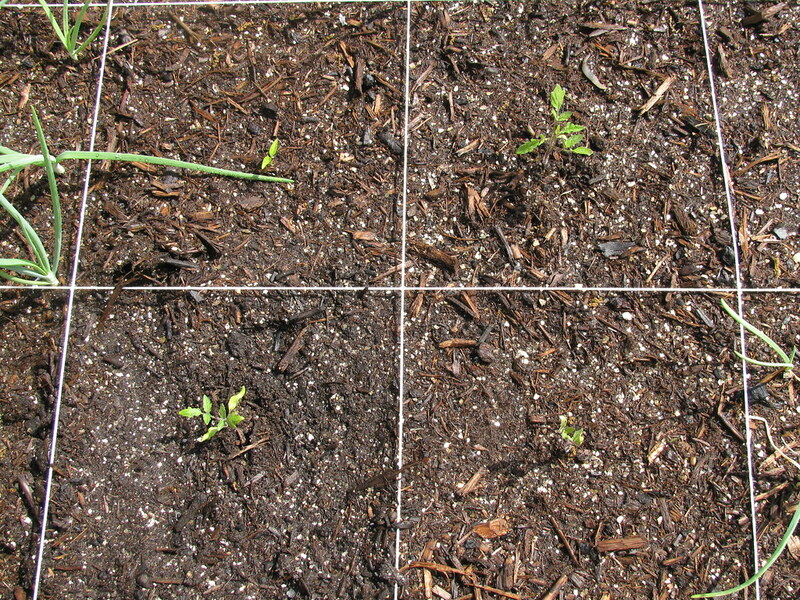 The top square is head lettuce and the bottom are leaf. 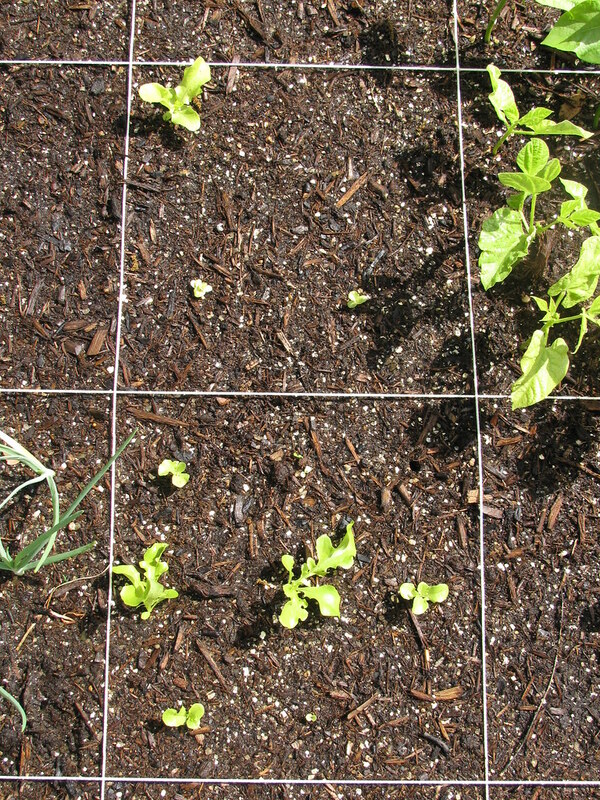 The leaf are doing a bit better than the head lettuce. One of my Romas was not looking too hot so I replanted it with another seedling. ( It's the one on the left. I still have a bunch of seedlings if anyone wants some). 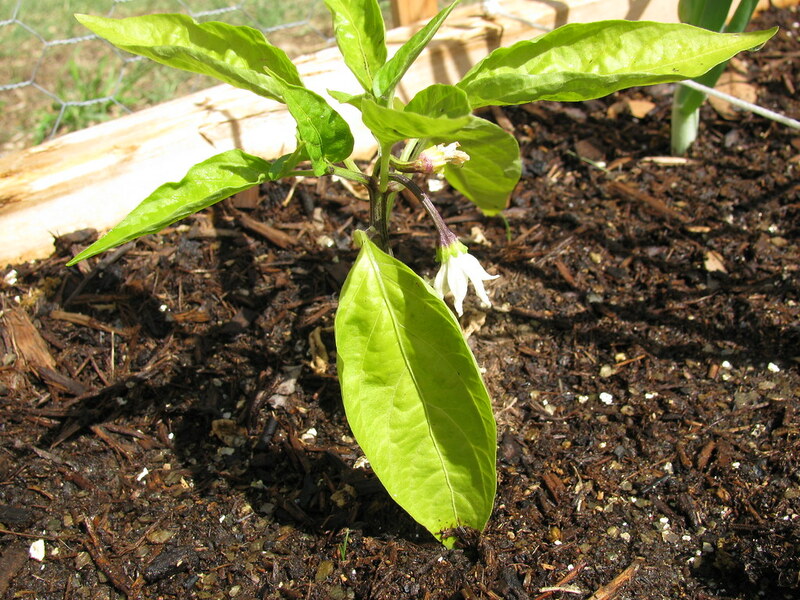 My jalapeno plant is blooming. The first plant with flowers! I spend a lot of time pulling grass out of the garden. What's depressing is that this is the only patch that grew. 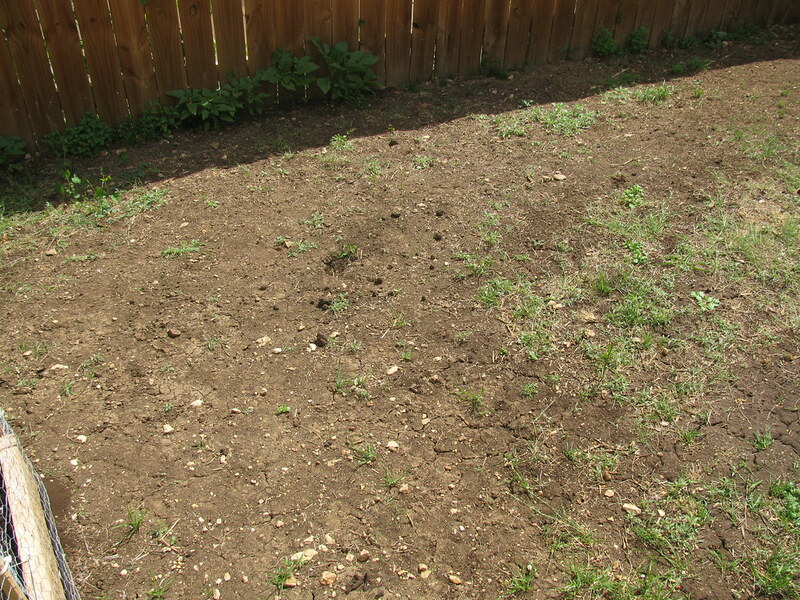 What's funny is that the patch that grew is the only spot where I tore up the ground a bit. I gave up soon after because the ground was really hard. Guess we'll be spending some more time raking next year! 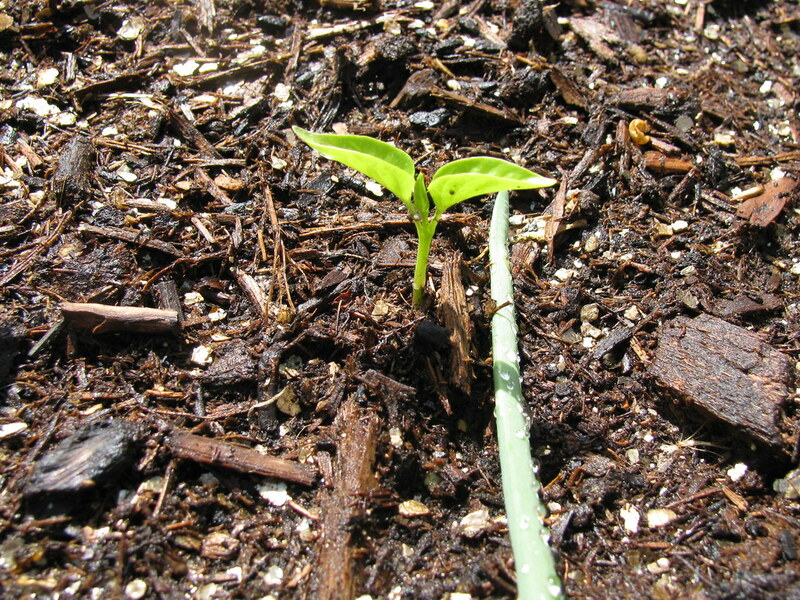 By the way, do you start your seeds inside, or just sow in the ground? Great looking garden! You and Matt should get together and sell some vegetables. He's wanting to sell them in our front yard-he's crazy! 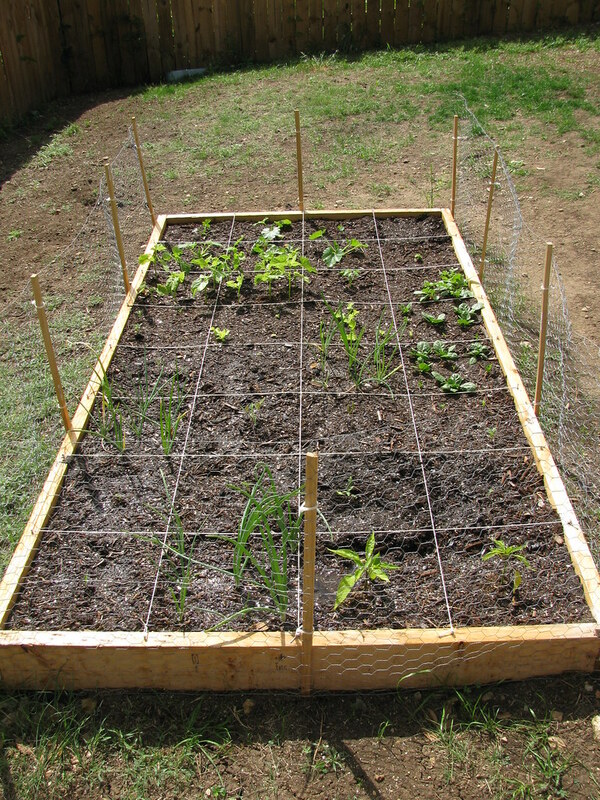 Meredith - I started peppers and tomatoes in the seed starters. Everything else went straight into the ground. I think next year I may start in the little clear solo cups rather than transferring so many times.